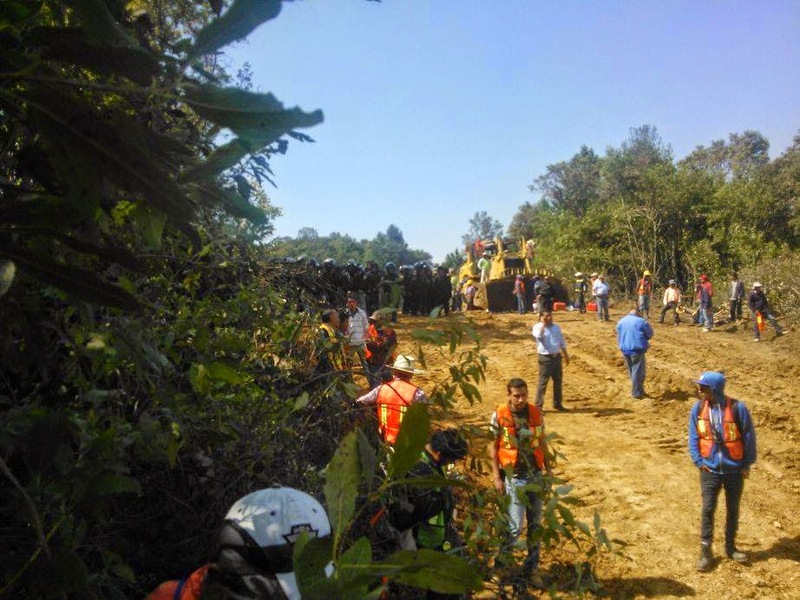 Today once again, our brothers and sisters of the Ñatho Indigenous Community of San Francisco Xochicuautla have defended their territory against the destruction and voracious ambition of those above who want to impose their highway project at any cost and in violation of Mexican and international law. 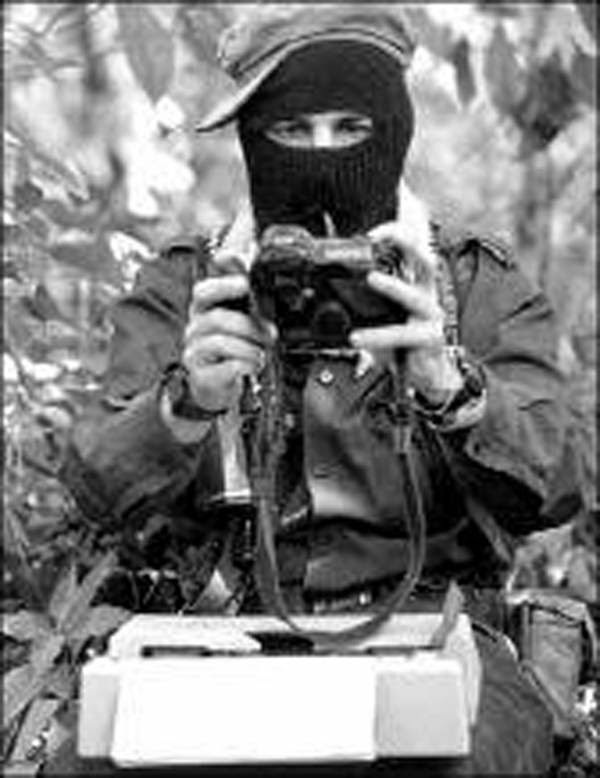 Not content with having laid waste to the forests, the bad governments of Enrique Peña Nieto and Eruviel Ávila Villegas have kidnapped our sisters Felipa Gutiérrez Petra (67 years old), Rosa Saavedra Mendoza (54 years old), and Francisca Reyes Flores (28 years old), and our brothers Armando García Salazar (50 years old), Venancio Hernández Ramírez (57 years old), Domingo Hernández Ramírez (57 years old), Mauricio Reyes Flores (28 years old) and Jerónimo Flores Arcelino (73 years old). We warn those above, in case they have forgotten, that as peoples and communities who have walked a long journey of resistance in defense of what we are, what we were, and what we will be, we will not tire of planting rebellion where they cut the flowers, oaks, and firs; we will not tire of building resistance where they impose the machinery of destruction. 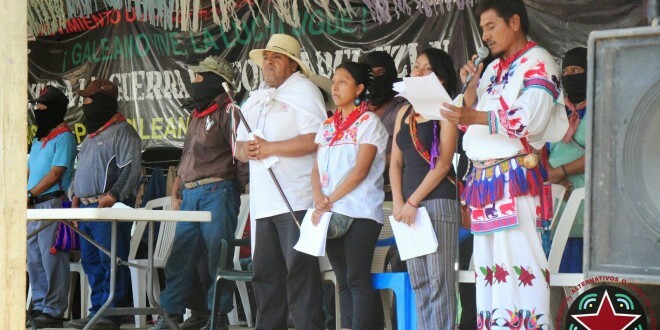 The roots of Xochicuautla and the other originary peoples and indigenous communities reach deep into our hills and countrysides, far deeper than their highways, and they are far stronger than attempts to uproot us from this Mexico that today cries for its young people, murdered and disappeared by the Bad Government. This government, which is not satiated by filling the prisons with rebellious men, women, children, and elderly, has again taken by force the freedom of indigenous brothers and sisters. They have done this to our Yaqui brothers and our Nahua brothers from the volcano region, and to so many others whose pain we also share. To all of these brothers and sisters we want to say that we walk in the same struggle, as peoples and communities who call ourselves the National Indigenous Congress. And to the deaf ears of the bad governments, we say that we know they are scared. They demonstrated this with the 500 riot cops and police helicopters they brought today to Xochicuautla, where next December we as indigenous peoples and communities will converge to share our rebellion, our struggle, and our seeds of resistance. Their pain is our pain, their rage is our rage!